First of all I would like to make clear the basic concepts. It is the amount of hydrogen that contains or is capable of containing a substance. and from 7 to 14 the range of alkalis. The balance that our body must maintain is of a pH 7.4 internally. It is a neutral environment already entering the alkaline zone, and this is the perfect terrain for our cells to survive properly. In Food Naturopathy when we talk about Alkaline Food is like saying “Advanced Nutrition”. It is simple to carry out, as we will see later and its benefits are observed in a few days. At the other extreme, we have industrial food, with processed foods which have a great acidifying power. This opens the door to many imbalances and deficiencies with a rapid aging of the body. I must say that our body is already acidifying itself over the years. The same aging generates it but it is definitely accelerated by pollution and eating habits. Babies are alkaline, the elderly are more acidic. There are different causes that acidify your body. The cells of our body need a Ph 7,4 which provides the right terrain for their subsistence. To regulate the Ph and keep it constant, the body bases its control and regulation on the use of the minerals it stores in the bones. An incorrect diet, where most of the foods are acidic, will cause the body to use these minerals to a greater extent, generating deficiencies and imbalances. The minerals are alkaline. A correct diet would avoid this use of minerals urgently since the intake of alkaline foods would take care of the generated acidity and there would be no deficiencies or imbalances. Homeostasis is a property of organisms that consists of its ability to maintain a stable internal condition by compensating changes in its environment through the regulated exchange of matter and energy with the outside. It is very easy and simple, at the same time that I knew compatible with the needs of the body. For this we only have to take a diet where at least 80% of the foods are alkalizing. This is a formula so certain and simple that it leaves stupefied the majority of the readers. The truth is that well taken, their results are extraordinary. All the diets that you will see out there are based on this feeding concept mentioned above. It gives us a healthy appearance and healthy skin. Well alkalizing foods or as I like to call them “live foods” because they are easily metabolized and do not create internal putrefaction practically. They are fresh and raw fruits and vegetables. Some are more alkalizing than others, but consumed raw are very healthy. It is important to know that they should not be cooked or heated since that destroys their alkalizing power as well as a large part of their nutrients. Advise, salads and vegetable smoothies. They are those foods that do not alkalize you, but do not acidify you either. To name a few of them: Pure unrefined oils, vegetables when cooked or steamed, legumes, certain nuts, vegetable drinks, steamed or cooked vegetables, and all whole grains. Here we enter the foods that can really harm us consumed in excess. The problem as you will see, is that a large majority based their daily diet only with this type of food. And that brings health problems in the long run. No explanations are needed at this point. We have: dairy products, coffee, breads and pasta, sugar, table salt, industrial foods, alcohol, canned, industrial pre-cooked, fried foods, non-natural juices, meats, poultry, fish and seafood, industrial pastries, sweets, soft drinks gaseous, industrial snacks and all non-natural and artificial preparation that passes through foods that we can find in stores. In an average citizen, acidifying foods abound. The truth is that a large percentage of what we eat daily includes these foods mentioned which are not beneficial to our health. The secret, not so secret, and super simple is to become aware and start replacing acidifying foods with alkaline ones. 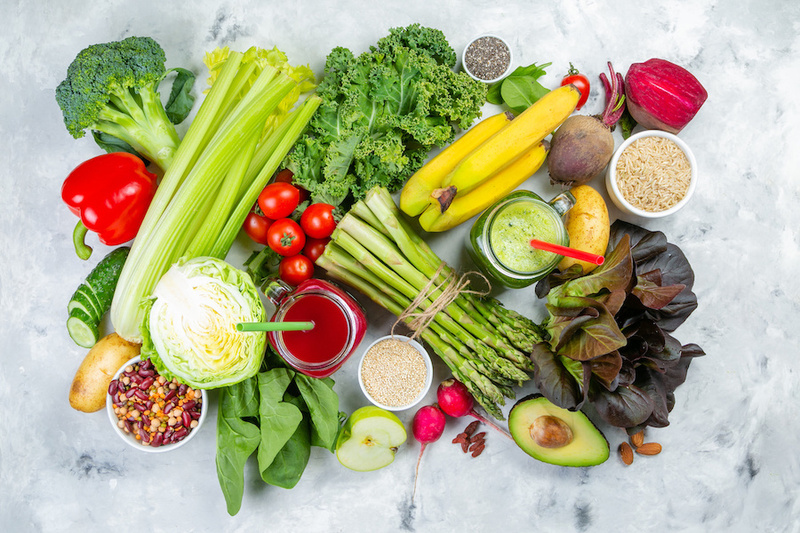 To lead a healthy and free life of future health problems, you just have to maintain a diet where you mostly eat alkaline foods and very few neutral ones. No acidifiers would be the smartest thing. Older people should consume between 85% -90% alkaline foods. This is the best way to neutralize the excess acidity that is in your body. Healthy foods when taken raw, such as fresh vegetables, sprouts, fruits or algae. Meats, fish, seafood, breads and pastas, fried foods, milk and dairy products, eggs or coffee, among others. Industrial products such as sugar, table salt and refined flour, pastries, alcohol, sausages or fast food.